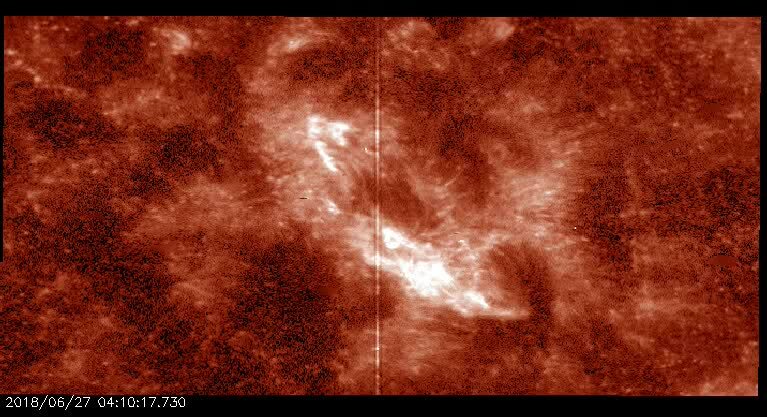 Solar flares are caused by instability in the solar magnetic field. The exact cause of this instability is still unknown. Several small brightenings and eruptions can be seen in the active region throughout the video that do not cause the region to flare. It isn't until one small region erupts, visible at 0:25 seconds, that this active region loses equilibrium and produces a beautiful mircroflare.